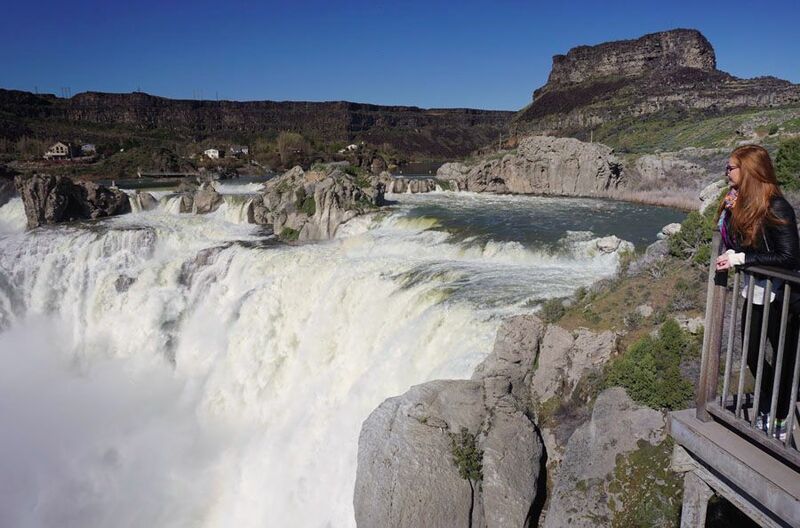 Shoshone Falls is currently dumping more water per second than it has in 20 years. 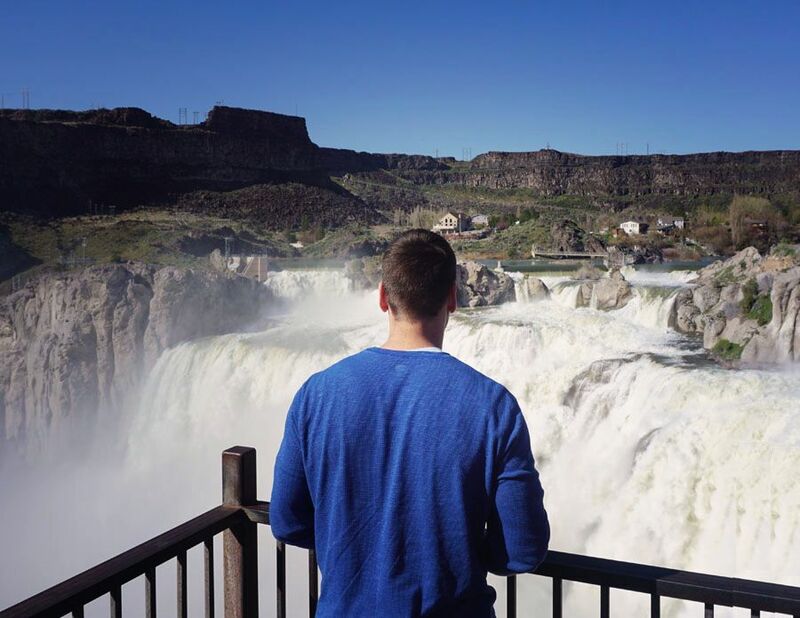 The falls are only about 2hrs away from our home in downtown Boise, so we decided to go take a look! 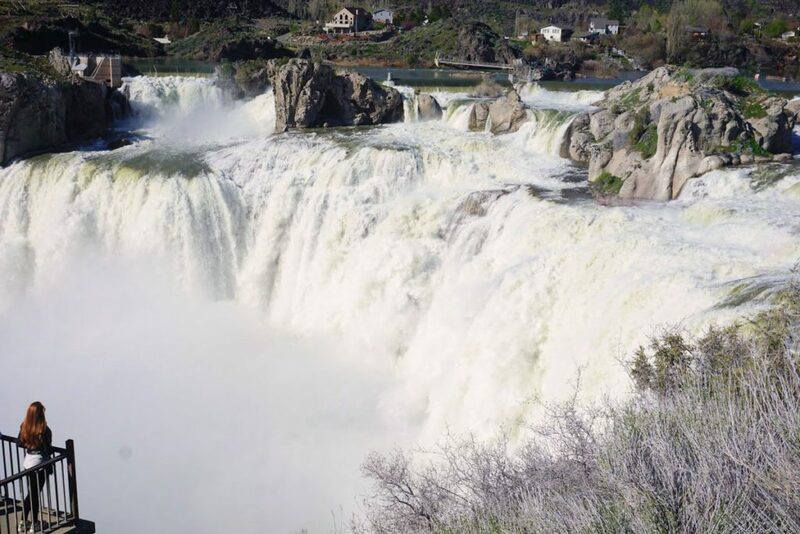 Shoshone Falls is often referred to as the ‘Niagara of the West’. After finally seeing it in person we now understand why. 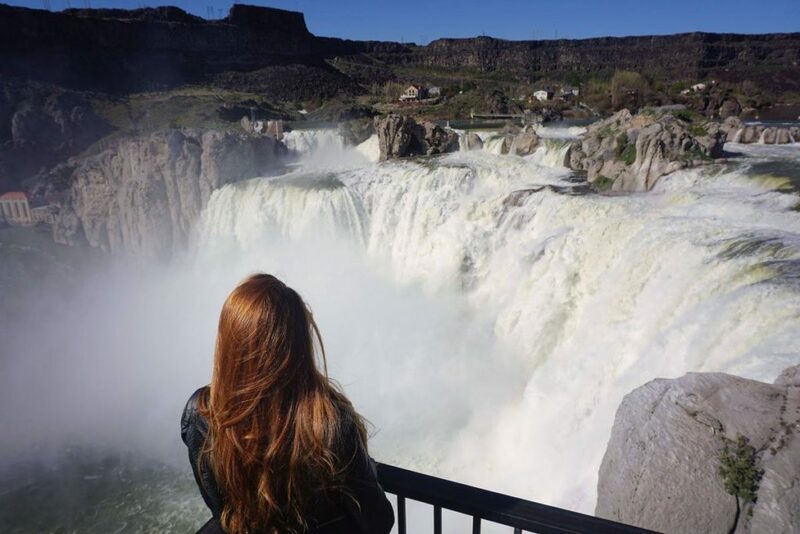 Currently running at about 22k cubic feet per second, this is by far the most impressive waterfall either of us have seen in person. We were a bit worried about the large volume of people rumored to be visiting the falls this weekend. Some were saying they had to wait over an hour to park during their visit. Others had said traffic was backed up for a few miles leading up to the parking lot entrance. Fortunately, we didn’t experience either of these things. Whether it was good timing, or luck, we didn’t have to wait at all this past Saturday during our visit. There were plenty of people there, but we didn’t have any trouble finding a parking spot about 200 yards from the lookout points. The entrance fee is only $3 per car and well worth it. You can find more details here. 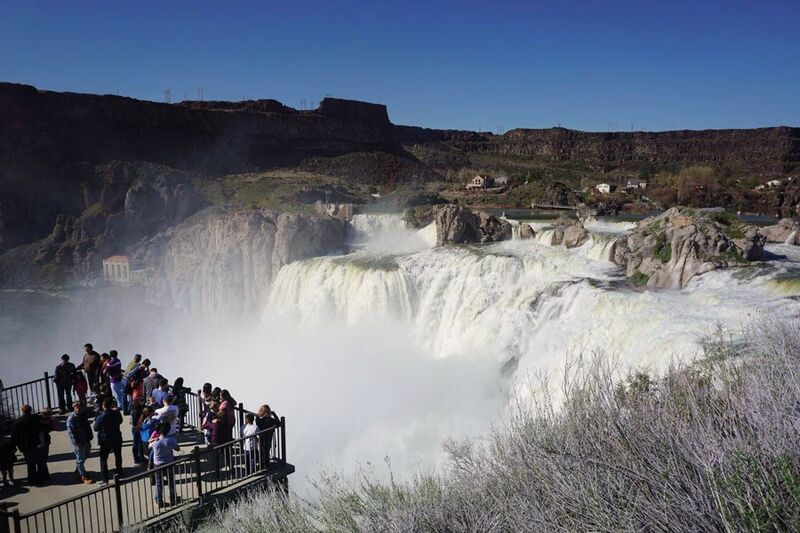 We would highly recommend you visit Shoshone Falls, ID if you’re anywhere in the neighborhood. 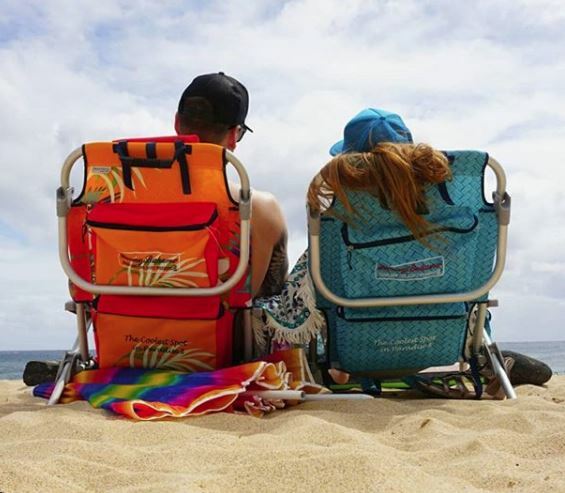 Let us know if you have any questions while planning your trip!